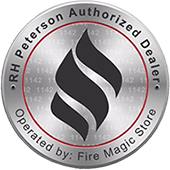 FireMagicStore.com was created to make your shopping experience for quality Fire Magic grills, parts and accessories an easy one. All of our Team Members are highly trained to have a comprehensive understanding of a single manufacturer's product line. With dedication like this to a manufacturer and a firm belief that a satisfied customer is the foundation of our business, we are committed to bringing a personal touch to an otherwise non-personal transaction. Feel free to contact us and see for yourself what our friendly and knowledgeable sales staff has to offer. Our promise: If you are not 100% satisfied with any part of our service or products, or just have a simple question, feel free to contact me personally and I will see to it that your expectations are met. Thank you for visiting, we appreciate the opportunity!